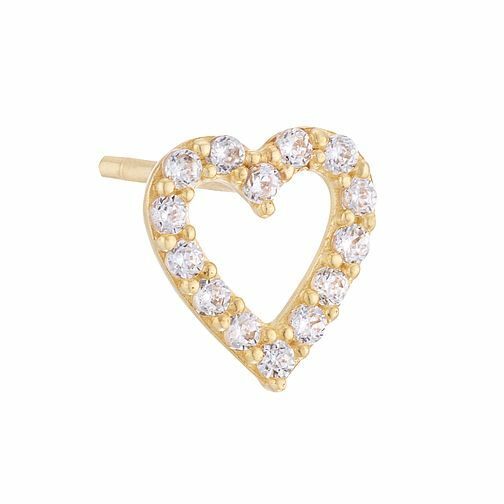 Give your style some individuality and a unique feel with this cut out heart shaped design single stud earring. Created in 9 carat yellow gold and set with stunning round cut cubic zirconia stones, this single stud earring gives the perfect touch of glamour and sparkle to your style. This single earring is the perfect accessory to be styled alongside other pieces from our collection of single stud earrings.